I really love vintage patterns! 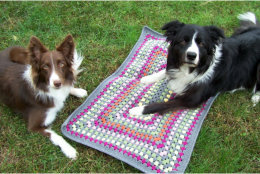 I don’t remember how I found this pattern on the web, but I am glad I did. 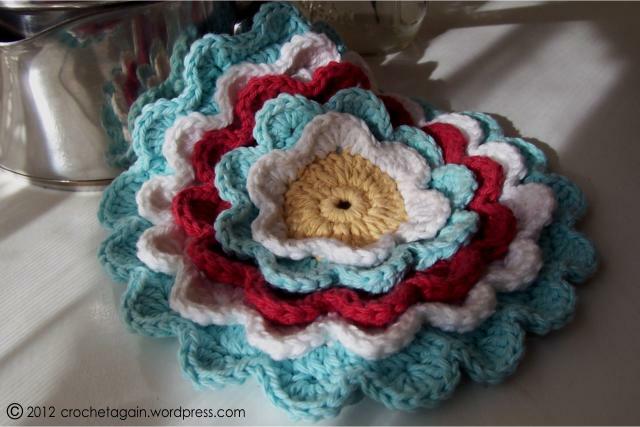 It is called Pretty Petals Potholder and was published in 1946, perfect for my kitchen. 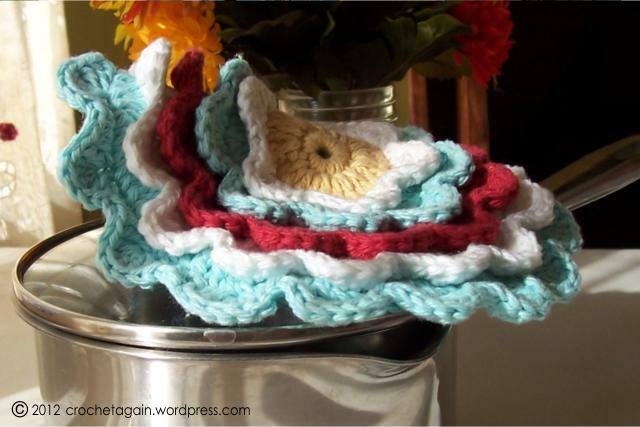 It does make a very nice potholder. I used my Handicrafter Cotton again to make it. I know I have seen stunning pillows or cushions on other blogs with a similar pattern, so I just had to join in the fun. I am very tempted to make this into chair pads, I think it would work nicely for that. Here is a better view…pretty and practical! I will be making more of these. Christmas colors would be nice! Lovely! Almost too pretty to use near the oven. Ithink it’d make a great trivet. These are beautiful, yet practical – right up my street!